Here it is: BOOM —-> Reviews ON AMAZON can no longer be written in exchange for free or discounted products. Reviews on Amazon.com will no longer be required as a task on Tomoson. Completing other tasks, such as Youtube reviews, Instagram posts, etc. will still be required. If you have outstanding Amazon tasks they will not be required and it will not affect completion percentages for influencers. Tomoson will continue to be dedicated to helping businesses increase product/brand awareness as well as increase organic sales via influencer marketing. Influencer marketing has always been a huge part of what we do here at Tomoson, and these changes mean a great opportunity for businesses to get connected with micro influencers. While micro influencers may have a smaller following, usually between 500 and 5,000, their audiences are often more engaged on the specific, relevant topics they discuss. By using micro influencers, businesses can be highly successful with their marketing strategy. 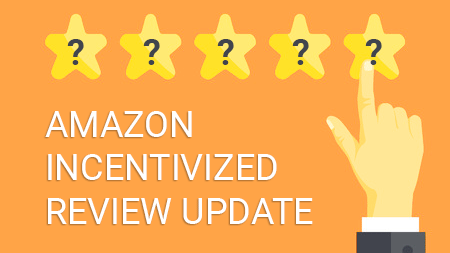 Amazon’s recent changes affect the ability to exchange free or discounted products for reviews. As such, Tomoson will no longer be requiring people to review Amazon products through our system. Tomoson will be adding a third marketing goal for businesses called “Increase Organic Sales,” which will specifically be built to allow users to purchase a free or discounted product with a coupon code and talk about it socially. Typically as sales and traffic to your listing increase so does your Amazon exposure for certain keywords. This is not considered manipulation because customers are completing actual sales and anytime you make money, so does Amazon (which is their entire business model) 🙂 Also what business in the world has never ran a sale or advertisement for their product? We don’t believe this is what Amazon is trying to do (preventing discounted sales of your product). Businesses can still send products for free or at a discounted price while requesting posts on other social media platforms such as Facebook or Youtube. Question: According to the terms of service on Amazon you are not allowed to give away “claim codes” to buyers with the purpose of increasing your sales rank. Isn’t selling products at a discount using promotional coupon codes (single and multi use) doing this? Answer: NO this is not against the rules and is the most misunderstood statement on Amazon’s TOS. Claim codes are another word for gift cards on Amazon’s interface. What the statement is trying to prevent is people purchasing a ton of gift cards, giving them out to their friends and having them purchase products that way. Promotional codes like multi use and single use codes are not included in this statement and are 100% legal. Keep and eye out for more changes as things shake out. If you have any questions please feel free to contact our support team.